For the last seventy years, Hackney Marshes have been synonymous with grassroots and Sunday League football, a space where amateur teams can compete in tournaments, train, or just come for a kickabout. But facilities like those provided at Hackney are a dying breed, leaving people of all ages stripped of the opportunity to play the sport they love. But, in a country with a national passion for football, why is this? Increased budget pressures are forcing councils across the country to consider cuts where possible. 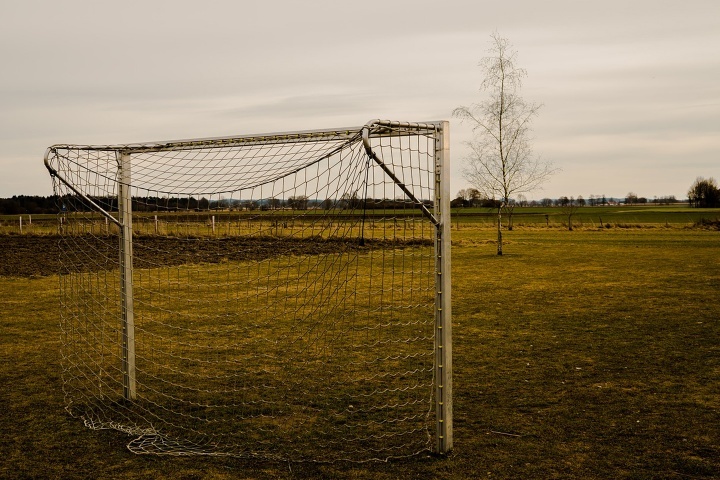 Often, this equates to reduced maintenance for council-run pitches with users facing inadequate facilities, often lacking essentials such as well-kept football goal posts or markings. Official figures estimate that the equivalent of one playing field has been sold off every two weeks since the 2012 Olympics, leaving children without spaces to play and denying them the opportunity to discover team sports. The selling of school playing fields has been a long-running concern in the UK, with 10,000 sold off between 1979 and 1997 alone. As schools face increasing student numbers and hard-hitting cuts, the choice is often simple: playing fields or classrooms? One solution that the Football Association has been keen to look at is increasing the use of artificial 3G pitches. All-weather pitches offer councils a low-maintenance playing surface and guarantees playability for matches and training sessions throughout the year. The largest problem with this is the cost to users. With amateur clubs having to charge players fees to rent the playing surface and facilities, many young players, especially those on low incomes, could give up playing regularly once they have left school. A 2016 survey discovered that 74% of children spent less than 60 minutes playing outside each day. While this is not exclusively down to the reduction in outdoor spaces (parents' fears around safety and the increase in digital entertainment has also had an effect), the reduced opportunity to play for free on public pitches and increased reliance on clubs or paid sessions has been a contributing factor. With 3G pitches becoming more common, it is likely that traditional playing fields are going to continue to see a reduction in use, especially in winter. If these areas fail to attract more users, then it may help the council to justify their sale - continuing the current trend. The London School of Economics conducted a study in 2015, 'Moving the Goalposts', which found that cost is the biggest barrier stopping school age young people taking part in team sports. With fewer areas to play, the residents of towns and villages around the country could find themselves and their children unable to enjoy jumpers-for-goalposts games, limiting team sports only to those who can afford it. With the FA focusing on grassroots and the riches of the Premier League trickling into the lower tiers of the professional game, the non-league, semi-professional clubs are finding themselves stuck in the middle with very little money or support. Many of these clubs across the country struggle to keep afloat and only exist due to the passion of dedicated volunteers. If these clubs were to disappear, many of those children playing in local youth teams at school would have nowhere to progress to as a young adult, possibly signalling the end of their career before it gets started. It might sound like the idea of a kick-around at the park is set to become a thing of the past, but there are new solutions that offer hope, even if the traditional eleven-a-side game is becoming less sustainable. Adult participation is on the rise, with a 2015 survey revealing that one in five adults take part in some form of football. This could be in part down to the growth of the women's gameand disability football over recent years. With the growth of less formal versions of the game, like five-a-side and futsal, sport participation appears to be evolving. If facilities with high quality equipment like folding goalposts could be combined with affordability, it could bring both children and young adults in to experience variants of the beautiful game on artificial pitches. "Changing this would cost very little and help a lot." It might not be the romanticised muddy park, but participation and enthusiasm is the most important thing, even if it is not the most traditional.